Getting There is Half the Fun! | How to succeed at the game of life. How to succeed at the game of life. One of my friends in the International Society of Airline Pilots wanted me to put Hadiza’s information on our private memorial page. I was horrified to find out she was murdered. Hadiza came to our convention in Helsinki in 1991, and since there are no good photos of her online, I decided to post this one. May she rest in peace. What a sad story about the only woman airline pilot for Nigerian Airways. Why are strong, successful women such a threat to the people around them? I gave away 850 copies of my Kindle version! I wish I could print the paperback in color, but Amazon wants me to charge of minimum of $43 for it 😂 😂no way is it worth that! Finally my book is out in paperback and Kindle! The Kindle is the best because the pictures are in COLOR! They look so much better! I love motivating children and young adults, so I finally wrote a book to go along with my talks. You never know what will light a spark and make a difference, so you have to keep putting yourself out there! I have been offline but not out of touch! Writing, speaking, traveling, and taking pictures kept me busy this last year. I’ve been speaking to kids (ACES, STEM, schools) and advocating for women pilots at Delta Air Lines and ISA+21 (The International Society of Women Airline Pilots). 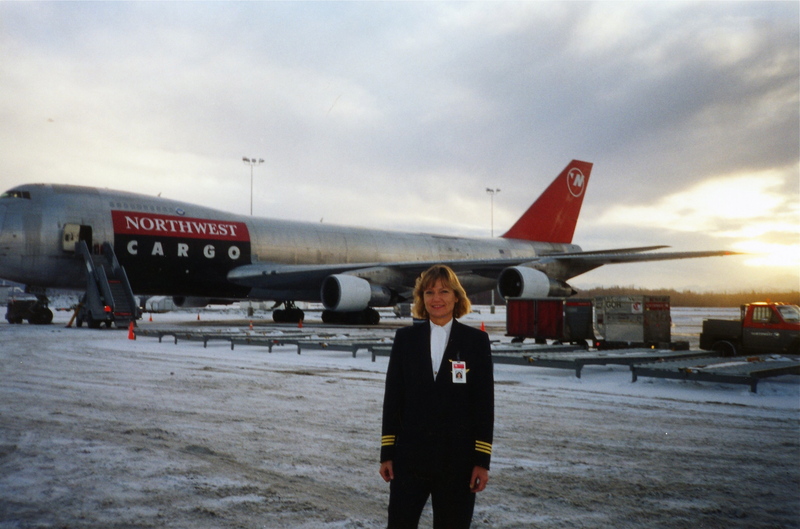 My first book is done and it is called “Ups and Downs.” It has been a long time coming, and I’m working on my second one, “Travels.” “Ups and Downs” is the story of my life and what it took to reach the captain’s seat of the Boeing 747. “Travels” is seeing the world through the eyes of a pilot. Both will be available on Amazon and Create Space. Enjoy! The United States closed behind us the morning the Twin Towers fell. Taking off out of Washington’s Seatac Airport that morning, I never guessed what the day would hold. The sky was dark and clear as our freighter roared up into it. I imagined our engines, over 200,000 pounds of thrust, shaking cursing Seattlites out of their sleep to greet the day. We turned north and, because we were practically alone in the sky at 5am. “Northwest 907, you are cleared direct to Anchorage, Alaska,” the controller said. We leveled at 32,000 feet. I monitored the radios; the captain unplugged and leaned his head back, exhausted from moving to a new house that weekend. The flight engineer went back to make coffee and use the lavatory. It was a glorious day to be flying and I took everything in. Vancouver Island, Canada passed below…we had vacationed there a few years back. I could see the ferries moving between the cities of Victoria and Vancouver…my kids loved those ferries, especially the coin operated massage chairs that you inserted Canadian Loonies and Toonies into. What? The controller was talking to another pilot on frequency. “No, no other information yet. 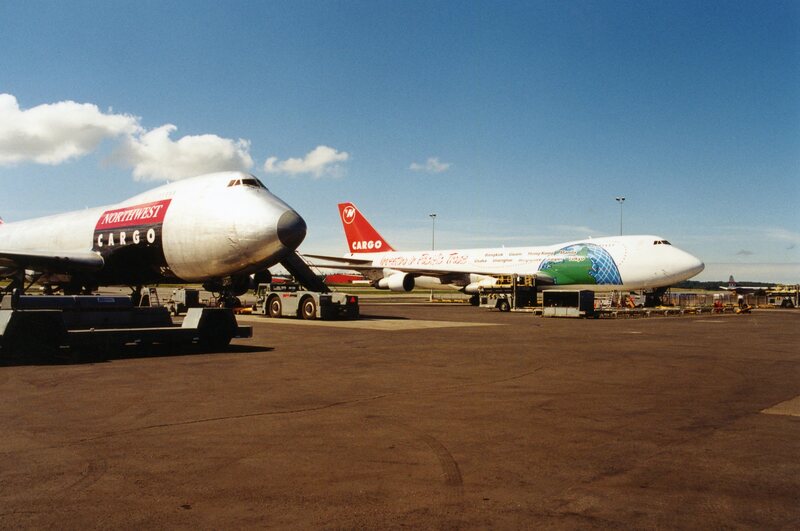 It was either a twin or an airliner.” The chatter continued. Surprised, I looked over at the captain. He was still unplugged. I told him what they were talking about and he just shrugged, uninterested. The controller said it was definitely an airliner. The flight engineer came back up front and I relayed the conversation to him. “What have you been smoking up here? I wasn’t gone that long,” the flight engineer joked. It didn’t seem real to me, either. “Seriously, at first they thought it was a light twin, then the report came in that it was an airliner, now they’re saying two airliners.” Finally the captain sat up straight in his chair. Now we were all listening to the radio. Both towers had been hit. It was surreal. As we continued to fly north, Air Traffic Control closed the continental United States airspace behind us. More reports came in as we flew on to Anchorage. Delta was arriving from Tokyo, landing in Portland, Oregon. They were out of radio range and had not heard what was happening. Seattle Center informed them that the continental United States was closed and asked them where they wanted to land. “Portland, Oregon, sir.” came the reply. The Delta pilot did not sound flustered, just tired. He had, after all, been up all night. The whole United States being closed was something that just didn’t compute. He repeated that Portland, Oregon was his destination. A long silence followed. Finally Delta answered “Vancouver.” Then, worried he would be misunderstood, he quickly added “Canada. Vancouver, Canada.” The controller replied affirmatively, then had us switch frequencies. We were laughing, not at the Delta pilot specifically, but more to release tension concerning the situation. That’s how pilots compartmentalize and deal with emergencies. Nothing like this had happened before, in our experience. It wasn’t real. Yet. The sky was like a ghost town. We were the only plane on frequency now. The only plane in the sky. The controller informed us that the towers had collapsed. We were incredulous. Maybe they were damaged, but collapsed? Did they topple over? Obviously he meant that just a few floors had fallen. 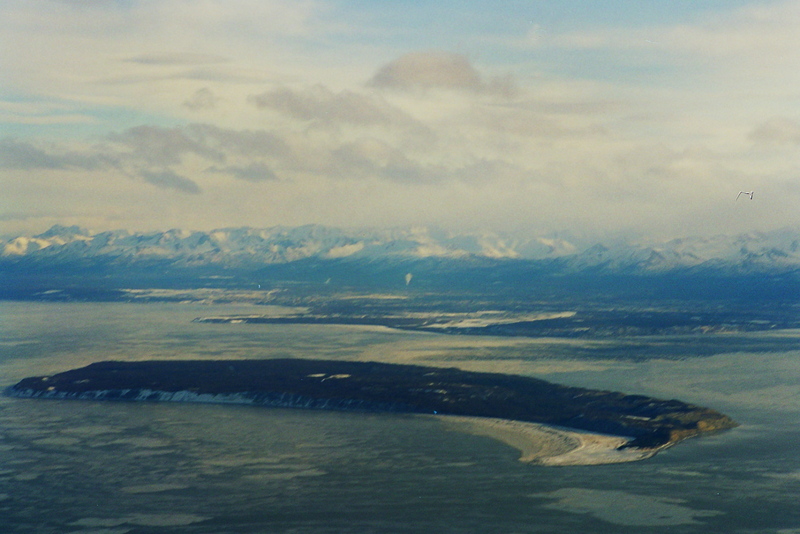 We made our approach and landing into Anchorage and taxied to the parking area. All the ground handlers were subdued, and everyone was walking around in a daze. “Did you hear?” one of the rampers asked. 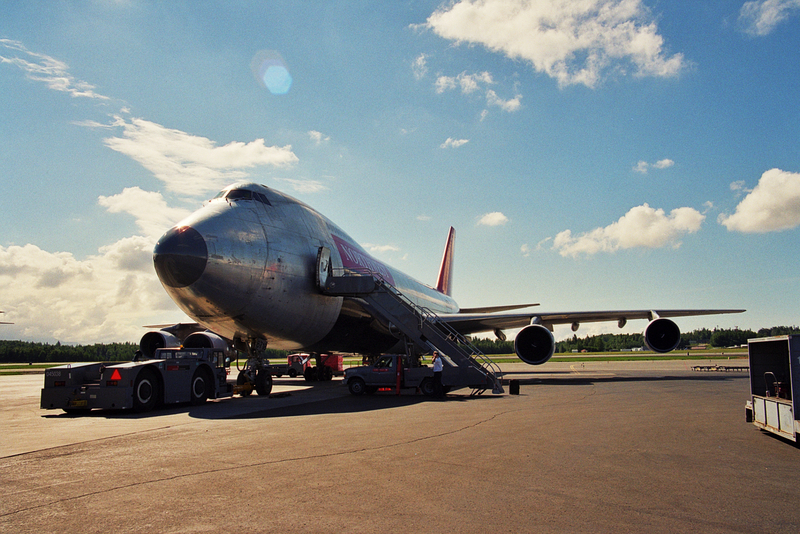 We nodded and crossed the ramp with our bags to our operations. Everyone was upstairs watching television. Horrified, we watched the buildings fall over and over again on the news. Everyone in the nation was in shock, but we, as pilots, were most dismayed. It had never occurred to us that airplanes could be used as bombs. Like zombies, we stood there glued to the screen. Other reports came on, about the Pentagon and the plane that crashed in Pennsylvania. It became apparent that this might not be over, and we realized our families did not know we had landed safely in Anchorage. I called home to inform my husband that I was fine, and he told me the schools had been calling, too, because the kids were worried. So I called my children’s schools. My eyes filled with tears as the kids in my daughter’s class cheered when the secretary made the announcement over the intercom that I was safe and my plane had not been hijacked. Shaken, we were driven to our hotel. The captain was exhausted, and begged off any activity except sleep. 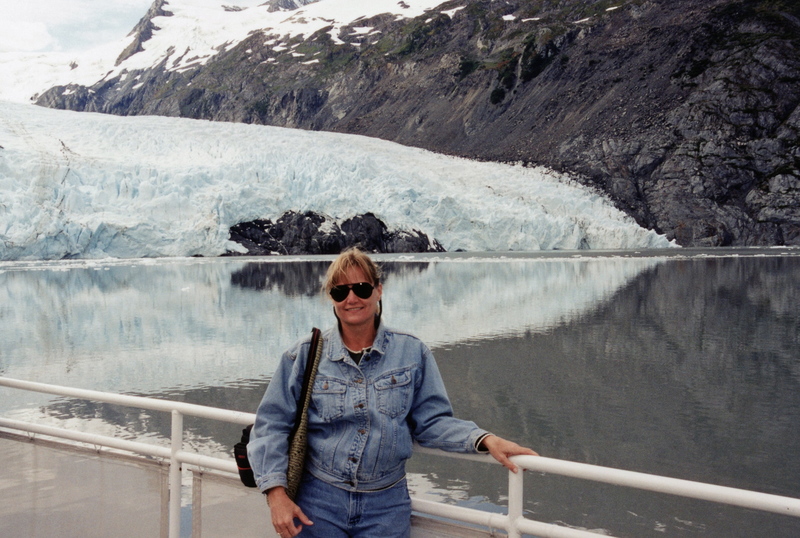 The flight engineer and I rented a car and drive south to Portage Glacier for the day. Police cars were gathering near the courthouse, and more raced by us as we left the city center. Unbeknownst to us, downtown Anchorage was being evacuated. An Al Nippon 747 was arriving from Asia without radio communication and authorities feared the worst. My kids now knew where I was, and were watching the television, horrified, as the news reported this breaking development. I was blissfully ignorant and didn’t have a cell phone to reassure them that I was still fine. Eventually the evacuation was terminated because the Al Nippon made radio contact. They were on the wrong radio frequency, not in the middle of a hijacking. We laughed later, thinking about terrorists trying to find and guide a 747 into the two story courthouse in Anchorage if they could even find it. Flags flew at half mast that night as we gathered at Humpy’s, a local restaurant and bar in downtown Anchorage. There must have been fifty airline employees filling the outside patio with raucous drinking and conversation. We were all stranded indefinitely. The waitress and I cried watching the buildings topple again and again. Mark, our flight engineer, was in his room, resting. His back went out on him earlier that day while we were sightseeing. Mine did the same the next morning. The captain slept for most of the three days we were there. Stress does funny things to a body. When the skies opened to travel three days later, the three of us deadheaded on a company passenger flight to Minneapolis, Minnesota. We spent the night and flew on to Los Angeles the next day. Our scheduled trip to Tokyo left the day after that. We were subdued and wary for the next week, but nothing else happened. Our trip was uneventful despite our preoccupation, but we all acted like sleepwalkers, numbly getting through each day. In disbelief, we saw cell phone covers for sale in Singapore and Hong Kong with the words “Bin Laden Hero” marching around the edges. It was eerie to realize how differently the bombings were perceived in different parts of the world. 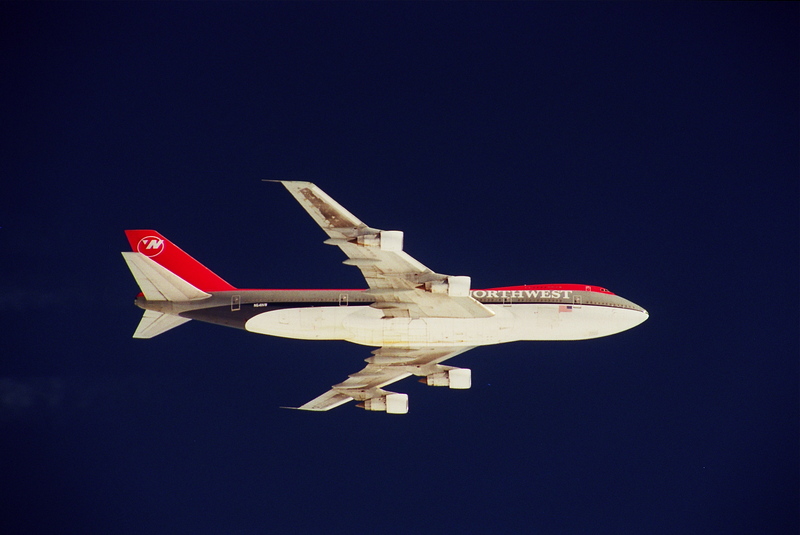 Northwest Airlines already had high security measures in place. Seven years before, in 1995, Ramzi Yousef and Khalid Shaikh Mohammed had planned to blow up eleven airliners. A chemical fire in an apartment in Manila led to the recovery of a computer hard drive, disclosing the plot. Northwest immediately implemented all sorts of international security procedures, such as checking bags, matching bags and searching our airplanes before each flight for anything suspicious. Nine eleven didn’t significantly affect our operations, but it did change our thinking. Before, hijackers were to be reasoned with. Now all the old procedures were thrown out the window. The only thing that altered significantly was airport security for boarding. It was now a hassle, even for flight crews. Some pilots retired early rather than be subjected to constant scrutiny at security checkpoints. Most of us realized it was necessary to undergo the ordeal. We submitted, protesting often that anyone could get a flight crew uniform and fake identification. The rumor was still rampant that one of the terrorists had been a jump seating “pilot”. All the new cockpit door reinforcements would be useless if a terrorist was already up front. Now, whenever I travel, I never let my bags out of my sight in hotels and limousines. Hotel room security still needs improvement. Nine eleven was a wake up call for all of us, but it also carried with it the certainty we cannot control everything. People ask me if I am afraid to fly, after 911. I shake my head and ask if they are afraid of tall buildings. They look at me, confusion in their faces. But being in the twin towers in New York City Tuesday morning, September 11, 2001 killed more people than being in any plane crash ever has. Portage Glacier…all the flags flew at half mast there. 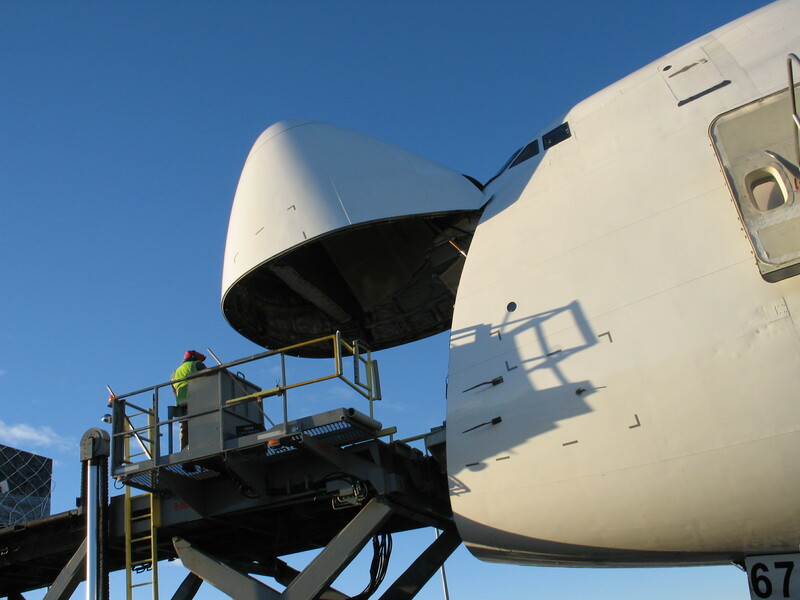 Obviously winter, but this is how the Anchorage freight ramp usually looked! Life goes on, no matter what. My plane!! 747 holding "in the stack" over Japan. I am a retired airline pilot and my hobbies are writing, photography, speaking to kids and travel. These are my stories from 35+ years of flying and learning! AAA++: Selling my Photos!! I am finally setting up a website to display and sell my better pictures! Flight To Success Karlene has been with 7 airlines, Delta is her 8th, so no big deal, right?! 8! Great place to sell/buy photos I sell my pictures online through Photographer’s Direct.